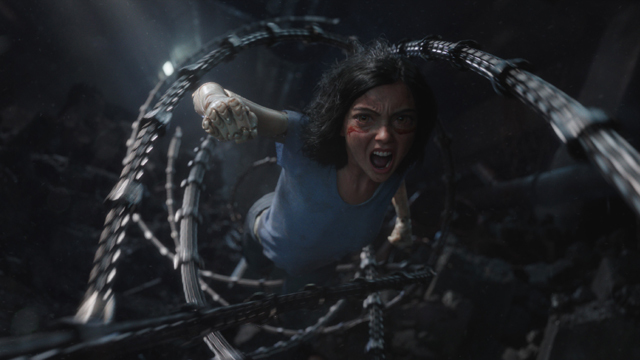 Action-packed and surprisingly charming, Alita: Battle Angel is better than it should be. (SPOT.ph) The cyberpunk sub-genre always opens many doors for creativity, and films in this genre rely heavily on their world-building. For every Blade Runner, with its enticingly moody atmosphere and gorgeous cityscape, you have a fairly uninspired technology in Ghost in the Shell (the Scarlett Johansson version). Thankfully, in Alita: Battle Angel, Robert Rodriguez and James Cameron are able to bring to life this extraordinarily cool world based on the manga called “Gunnm.” Is the world a place you want to live in? Not exactly, but what makes Alita’s world so gosh-darn cool are the cyborgs, androids, and people that populate it. 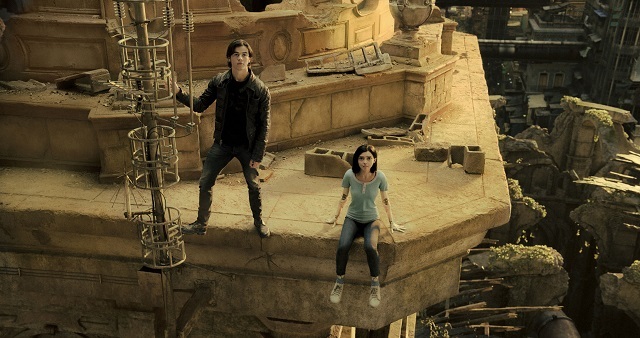 The world and way of life built here is so fascinating and fun that one can just enjoy it even if the plotlines get ludicrous, and this pushes Alita: Battle Angel into surprisingly enjoyable territory when it all could easily have glitched very badly. Based on the manga by Yukito Kishiro, Alita: Battle Angel centers on Alita (Rosa Salazar), a cyborg with no memory of who she was before she was found by Dr. Ido (Christoph Waltz). Awakening in a strange new world, Alita learns of the goings-on of Iron City, a place that sits beneath the last remaining (and unreachable) Sky city named Zalem. All she is told at first is that it is 300 years after “the Fall” of the sky cities but one remains, and it is where the elite stay while those who live below in Iron City provide to those above. Many of the inhabitants of Iron City, including Alita’s new friend Hugo (Keean Johnson) and the mysterious Chiren (Jennifer Connelly), dream of making it up to Zalem, but the only way to get there is through shady dealings that may or may not be fruitful, and by becoming the top champion of some basketball-roller derby cyberpunk hybrid sports game called Motorball. As Alita discovers more about her past, the more she learns about what she’s designed to do, and in the dangerous streets of Iron City, she meets some sketchy figures, both human and cyborg (and a mix of the two) that are more foe than friend. The word that really comes to mind with this movie, as already mentioned before, is “cool." A lot of the things in it are so cool, no matter how ridiculous. Alita herself is cool, and she’s effortlessly charming. Hugo’s one-wheeled motorcycle-transportation device is cool. Motorball, which in essence is such a silly side-plot and makes the film feel less deep than it could have been, is still pretty cool. The cyborgs are just so fun with their character designs and what they can do—there’s even a dude with cyberdogs! The coolest are the action scenes, which are visually clean and clear from a director’s standpoint. Every movement means something; it’s not just a mish-mash of robots killing each other. Rodriguez, a director who loves to behead characters and splatter blood everywhere, makes full use of a lot of his fight scenes featuring robots to continue his destructive nature. They’re robots with no blood, which means multiple, violent scenes of beheadings, limb detachment, eye stabbing, and more all in a nice PG-13/R-13 rating. Cameron’s influence can definitely be seen in the world-building but the deliberate, straightforward yet still cheer-worthy action (one scene does drop the F-bomb, and it’s terrific) and the quick-paced movement of the film is all Rodriguez. Salazar, acting on mo-cap, brings a lot to the character of Alita. Her kindness and charm exudes off the screen, except at one point where she goes a little bit mad and literally tries to give her heart away and then it’s all very creepy, but otherwise, Salazar nails Alita’s curiosity and her ruthlessness. Waltz does Waltz things as he always does even in these less-esteemed productions, newbie Johnson is fine as the nice boy Alita crushes on, while Connelly’s Cherin never quite comes out fully formed, but Connelly delivers the sultriness needed. Mahershala Ali plays Vector, one of the main villains, and he’s very good even in a bland bad guy role. The cast is altogether solid, but there’s a cameo near the end that veers into comic, it’s not sure yet where that’ll go. Alita’s biggest issue is that while the world-building is great and the cast is equally solid, it’s just not fully there. 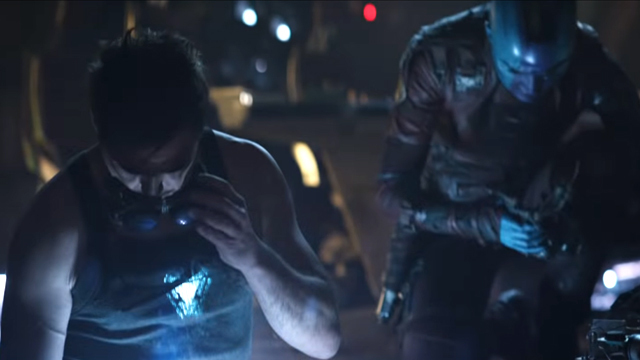 Whenever the film feels like it’s going to take off into an interesting direction, it saddles the audience with a lengthy Motorball sequence or some really boring sequence where the villains muse on what they’ll do next. In parts, it’s also laughably bad. The dialogue is incredibly cheesy, the VFX doesn’t often work well with the live action (which begs the question why they didn’t just make an animated film), and plots such as romantic relationships and anything Motorball related will have you either snickering because it’s so awful or rolling your non-giant eyes at how uncool it all is compared to the rest of the film. Thankfully, Rodriguez’ direction and world-building are enough to let audiences have a good time with Alita even if it’s not exactly as smart or breathtaking as it could have been. At least for the time when you watch it, it’s quite surprisingly enjoyable. It’s silly fun that makes you want more doses of the good stuff, and if only there were less of the bad, this could’ve been the next big cyberpunk series—but for now, it’ll have to settle for scraps. 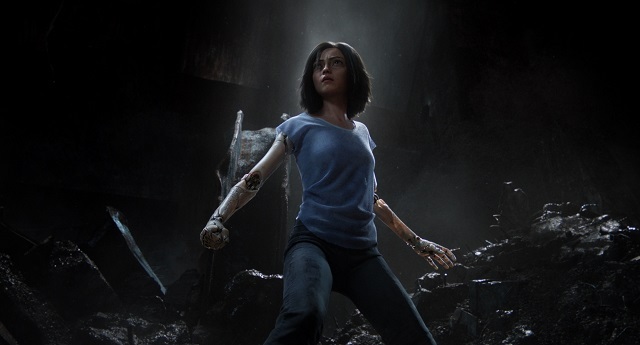 Alita: Battle Angel premieres in theaters on February 6 with sneak previews on February 5 starting 7 p.m.